After stocking up on a hefty stack of gently-used books at the Quaker Book Sale last month, I re-assessed my holdovers from last year’s cache. If I hadn’t read them in the past year, was I likely to in the year ahead? Out went Iris Murdoch’s The Sea, The Sea and a few others that never really captured my imagination when hunting for the next good read. These were decent books, and I felt bad about giving them away—but I was determined to sweep the shelf clean. Then I got to Loving Frank. Toss it or start reading it on the spot? 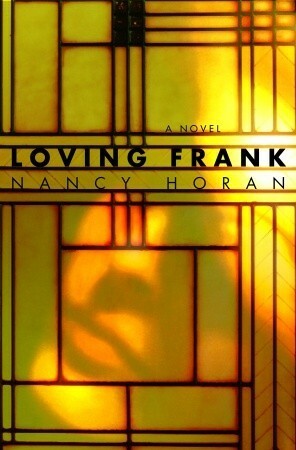 I opened it and was quickly captivated by Nancy Horan’s fictionalized account of Mamah Borthwick Cheney, who carried on an adulterous affair with Frank Lloyd Wright. Intellectual, progressive, and utterly devoted to Wright, Mamah (“May-ma,” a family nickname for Martha) was also deeply conflicted about leaving her children at a time when divorce was almost unthinkable. Her story illustrates how constrained women’s lives were at the turn of the last century, even as they began to seek advanced education and careers. I knew little about Wright’s life, aside from his reputation as a groundbreaking architect with a distinctly American aesthetic. With a few chapters left to read, I wondered if the novel would fade into scenes of domestic bliss as Mamah and Frank’s lives began to stabilize after years of attacks by the press and difficulties finding professional success. I thought I’d polish off the remaining pages right before bed. A mistake: the ending is unexpected and unsettling; I had a hard time getting to sleep once I closed the book. I’m definitely glad I hung on to this one; makes me wonder if I lost any other gems when I cleaned house . . .